Congratulations to TriPreM 2017/2018 Final Year Student, Ikmal Danial bin Musa on winning the 3rd Prize in MPE (Mechanical Precision Engineering Dep.) 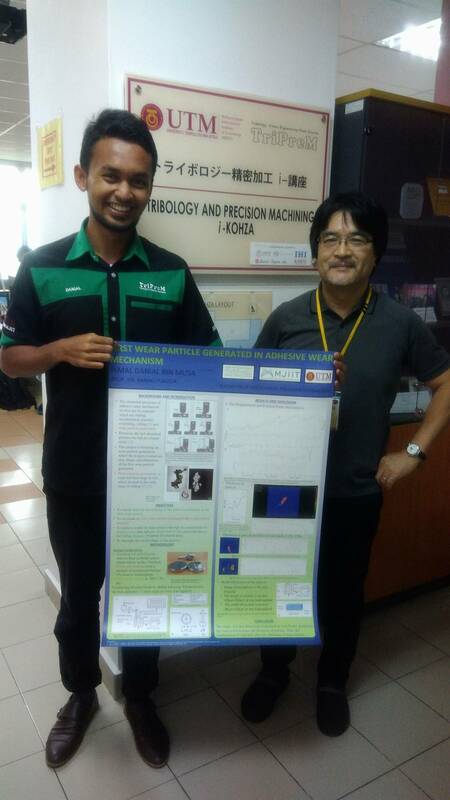 at MJIIT Final Year Project poster presentation on 15 May 2018 for project titled “Wear Particle Generation in Adhesive Wear Mechanism“. As quoted by his supervisor, Prof Kanao Fukuda, “His sincere efforts leaded to the award”. Congrats!